The Boatswain's Mate was one of the most feared men in the crew. He carries a Starter in his right hand. The Starter or Rope end was used to encourage the crew to work harder! 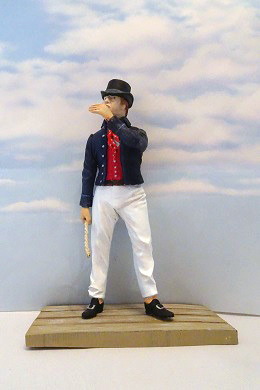 The model will complement any "Trafalgar" diorama or makes a good standalone subject.